Humphry BOO-gart (aka Mr. 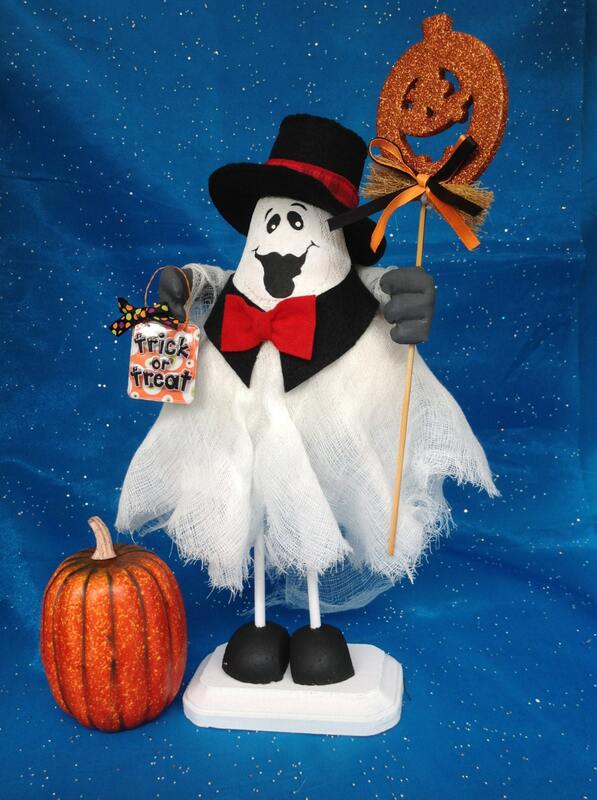 Right) This dashing young gentleman ghost stands 13 1/2" tall and is all dressed up to go Trick or Treating. 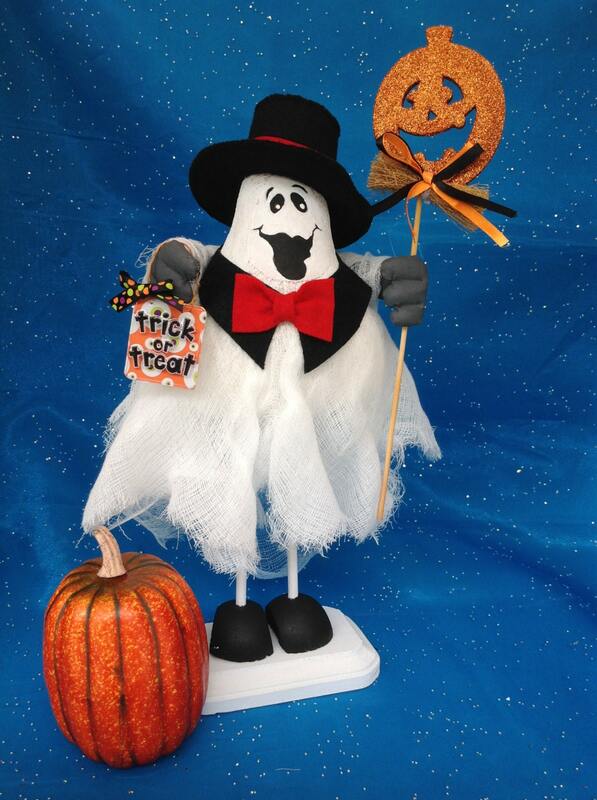 Dressed to impress in his Top Hat & Tie, he is sure to catch the eye of any cute girl ghosts looking his way. Who knows, Halloween just might be the night for love. 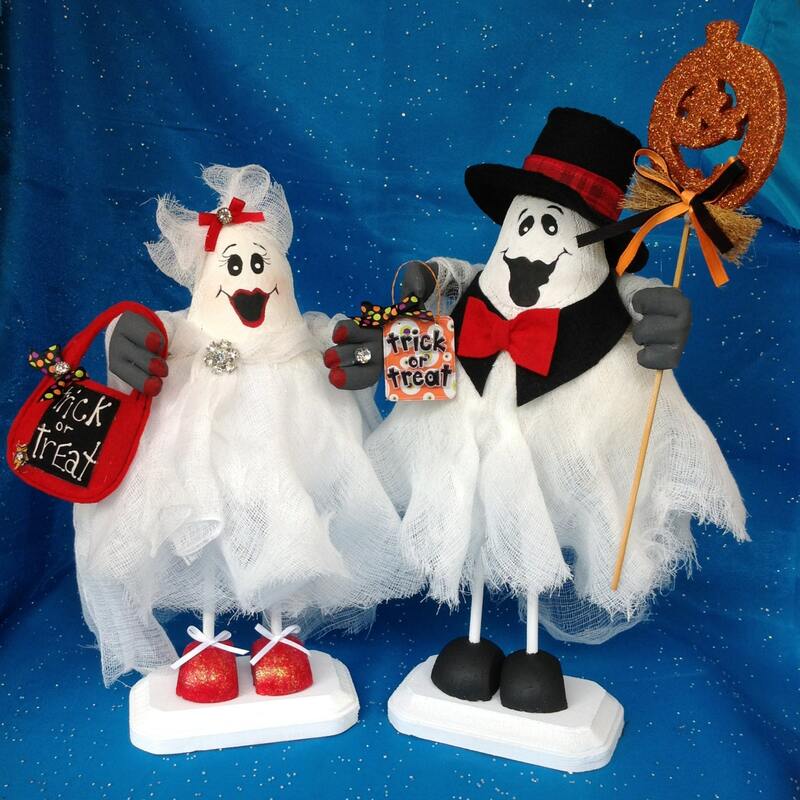 Designed to be paired with BOO-tiful Ghost for the perfect Halloween decoration. Finished dolls made by you personally may be sold via the internet and at local craft fairs. Please give Fruitfull Hands Dolls design credit. This doll should be an excellent craft fair item.